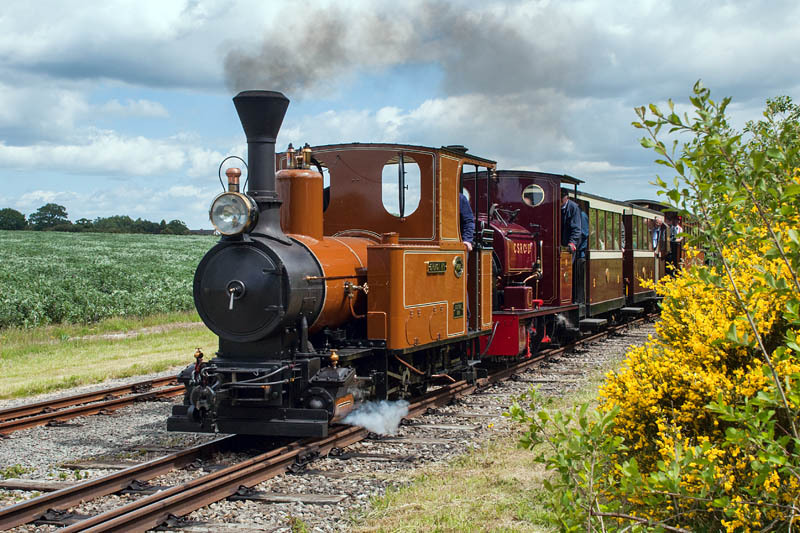 It’s the Statfold June open day – and, as ever, there are narrow gauge steam locomotives everywhere. One on each end of the two trains on the new line, lots more on the old line – the freight has no fewer than four locomotives, two at each end. Haven’t attempted to count them – perhaps if I can’t get to sleep tonight (better than sheep…). A “Rail Diaries” page will appear in a day or two – in the meantime, here’s just one taster.